J Crew entered the bridal scene as one of the first mass retailers to do so. They're success has been unimaginable and they have outfitted millions of different brides and bridal parties. 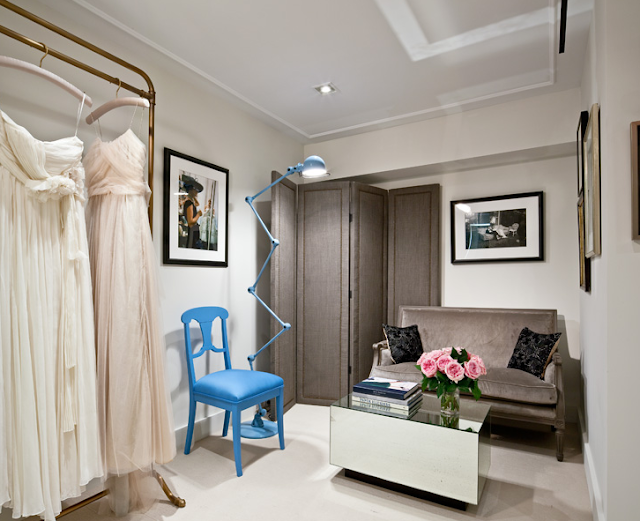 Now the first J Crew bridal boutique on Madison Avenue and available by appointment. The store is designed after a Parisian parlor and brings modern elements to the 1930s French decor.